My phone slips into a can cozy (the flat type that has the folded bottom) and then into a jersey pocket. This protects against sweat and provides minimal cushioning that I hope I'll never need. I can get to it easier (one handed) than if it's in a bag (two hands). The zip lock is in my saddle bag if needed. "Can cozy" that's a pretty good idea. I'll give that a shot. When commuting I toss it in my waterproof panniers. When riding around on errands it's in a pocket or in my small frame bag hanging from the top tube. I would use something like this. Your phone is an delicate and expensive investment that deserve maximum protection from shock, rain, and crash. I use one like this. I can see my stats and I guess answer a call if I were in the mood. Keeps it tight and safe. 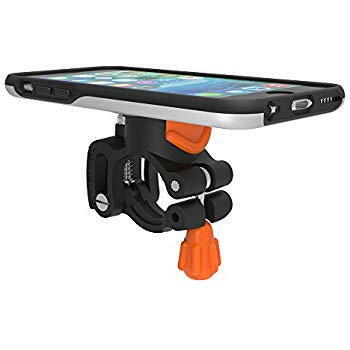 I previously used a cradle for my phone but got annoyed by the glare. Goes into my backpack now and the wife uses her iphone on the cradle now. As far as a flip phone i have one hidden in my motorcycle. Normally off but get used when charged just to test it. The service i use is page plus (verizon) which is $10 every 3 months. i have my phone in one of those Lifeproof cases that are submersible for a few minutes up to 3 feet of water i believe. which in my opinion is the equivalent of being able to ride in a complete downpour for at least 2 hours. i keep the phone in my jersey pocket. i just got dumped on a few nights ago and my phone was fine. In dry weather I ride with a Hi-Vis construction vest and simply slip my phone into one of the outer pockets. It's handy there if I need to stop for a call or photograph the license plate of an egregious driver. Also, the mount is small enough to work on the Brompton without affecting the fold. Well, not that I recommend it, but if you use a slotted saddle, here is an option that addresses that concern. But when overly wet (and I don't have a strong need for the screen) I tuck it into waterproof panniers (Ortlieb, Thule or Timbuk2). Intermediate case (not incredibly wet, may need the screen) I put it in a pocket underneath my water layer. 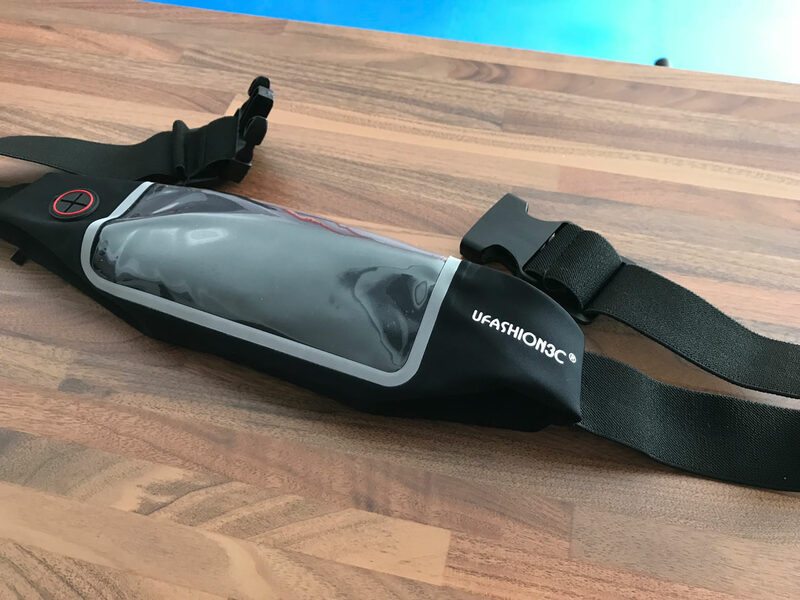 I've just recently discovered that I can use my running belt to carry my phone around my waist in perfect comfort whilst cycling. This running belt takes an iPhone 7 with a fairly large cover with ease. During the ride I don't notice the phone at all. It's extremely secure and can also hold a bunch of keys. 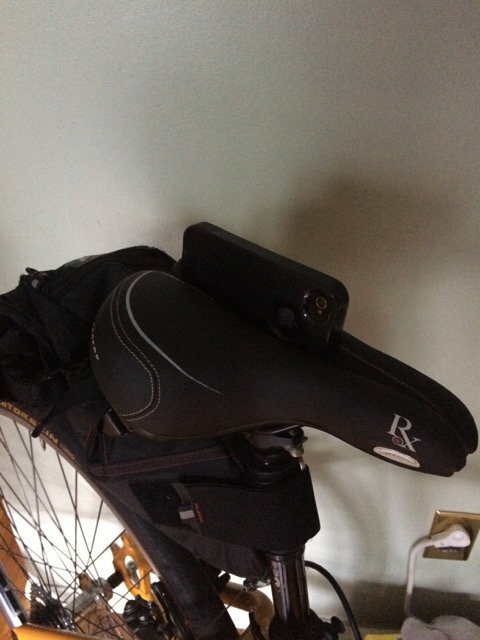 My phone most often rides in my frame bag. Frame bags are awesome! I don't think that is offered by any cell service provider. I was looking into cloning sim cards the other day, thinking you would put the same sim in 2 phones, but unfortunately it's illegal and probably doesn't work (or is extremely difficult) with newer sims. However, you can set up Google Voice (free) and have it forward to any phones you want. Combine that with an IP phone and number (also can be found for free) and your second phone would work when you're in range of wifi. Or use a cheap pay-as-you-go service for the secondary phone. Either way, you could have the same phone number operating on both phones. Phones are consumables and obsolete practically when you walk out of the store with them, and I treat them that way. I treat them like tools. If I can get hot, cold, wet, sweaty, so can the tool. My last flip phone lasted ten years. My current smartphone is pushing two years. I bought a cheap rubber/plastic case for it and use a glass screen protector. It's always in a pocket or seat bag regardless of conditions. I've dropped it many times, only once did it land flat face down, breaking the screen protector. Moto G4 and yes, now obsolete. 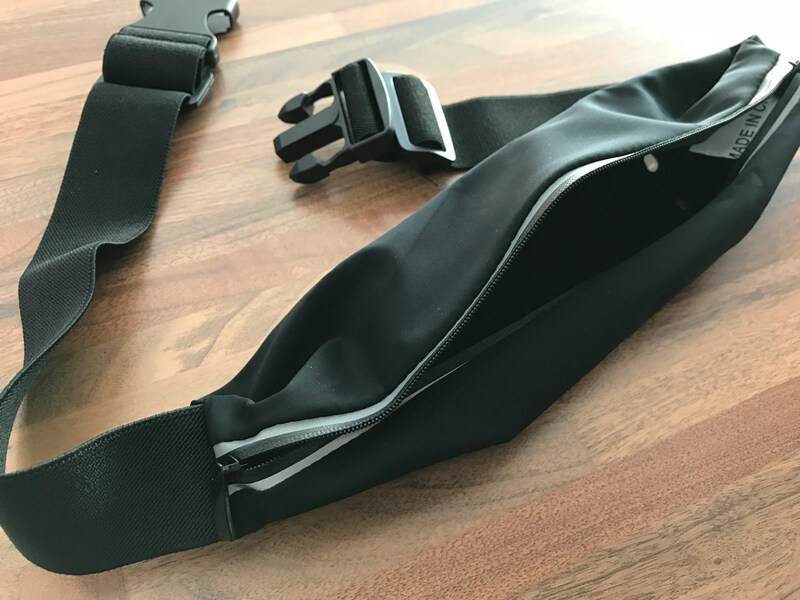 I have a “Top Trek” stem/handlebar mounted bag that has a transparent cover where the phone is securely held by Velcro flaps from the rear of the cover. It allows limited interaction with the phone (which I don’t care much about), but allows the ‘bike mileage app’ to show very nicely. The bag itself has room for a spare tube, tire levers, patch kit and multi tool. It was on Ebay for about $12. I bought a G4 just a few months ago and I'm tickled pink with it. 1 or 2 generations back, sweet spot on price/performance. Middle jersey pocket, in a duct-tape covered Ziploc bag with my cash and cards. Cheap and durable. I don't think that is offered by any cell service provider. T Mobile sort of does this. Not with a twinned SIM, but with an app that directs all traffics to 1 phone to a second phone. It's a GREAT idea. In practice though I was underwhelmed with the effectiveness of it. To be fair I tested it out when the service was first offered last year and was practically in a beta testing stage. I gave up and haven't tried it since. It's probably better today. During my commute in my waterproof bag. If no bag then in jersey pocket. If chance of rain, in ziplock. My phone has a rubber cover and I keep it stored on my right side. Am I the only one who rides with my phone in my back jeans pocket? Maybe it's just some combination of narrow saddle and high waisted shorts, but it never gets squished or falls out. Have also sometimes been riding with a phone holster on my left backpack strap, right in front of my shoulder. This is definitely the most convenient short of mounting on the stem or bars, and it doesn't get in the way. Phone has never shaken loose from this. Strong magnet and a latch. I have a long enough stem that I mount it to that vs. on the bars. Agreed. They’re more waterproof and robust than you think. And if in a downpour, they fair fine under a pair of rain pants.